I played around with this recipe a LOT. That is, until the bread was so good that it was gone in two days. 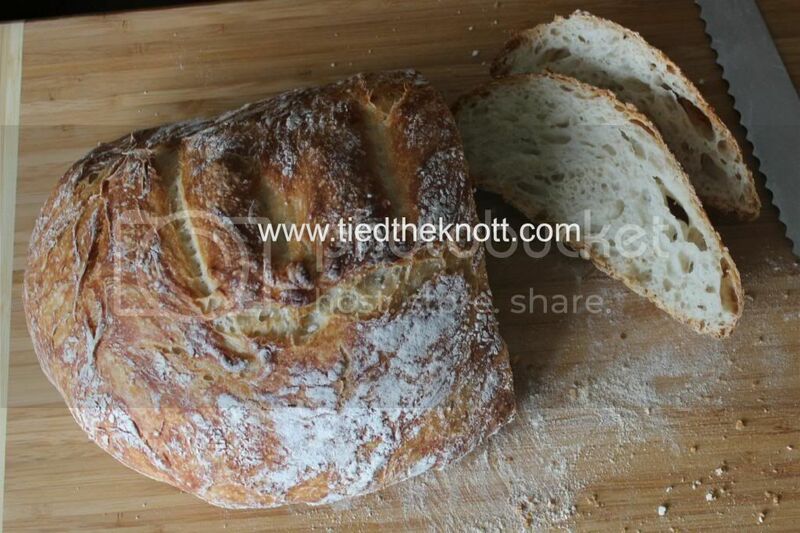 If you are a carb lover and love those rolls you get at restaurants, this is a bomb recipe. Yes, I just brought back bomb. Whisk all dry ingredients together (except .5c flour) and add warm water. Cover with plastic wrap for 16 hours to let rise. Put a (COVERED/EMPTY) dutch oven into the oven at 450* to heat up for half an hour. While it's warming, pour about half the remaining flour onto the counter and place the dough on it to prevent sticking. Flour your hands with the remaining flour and form dough into a ball. Cover with plastic wrap or a flour sack towel and let rise 30 minutes. 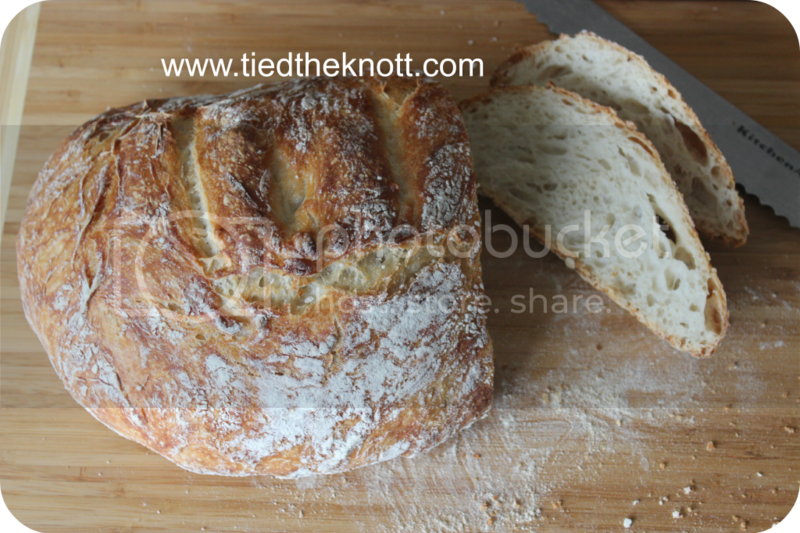 When dutch oven is warm, place dough ball on bottom and cut a few slits on the top of the loaf about .5" in. Bake, covered, for 30 minutes. Uncover and bake 10 -12 minutes more. We served with salted butter. YUMMMM! 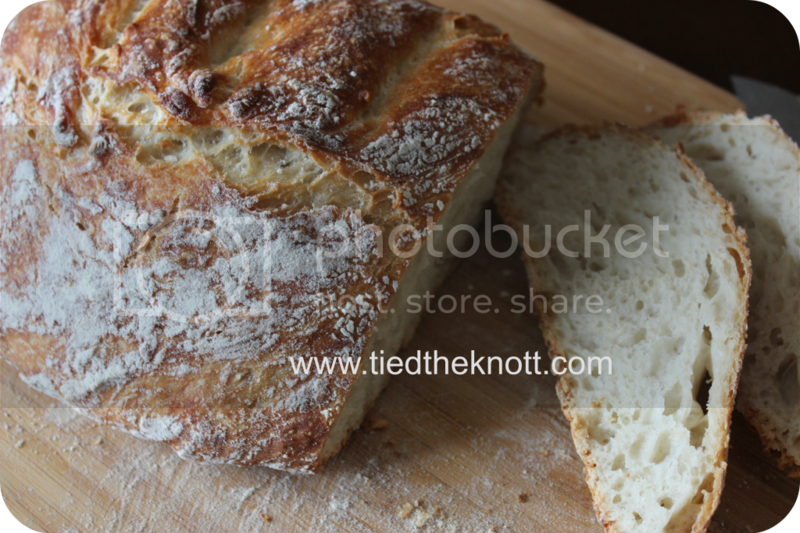 looks yum, I have been working on getting the nerve to try baking bread. I have a felling there are going to be a few EPIC fails! Hope you have a great memorial day weekend! That looks really good! Looks like great sandwich bread. Thanks for posting!